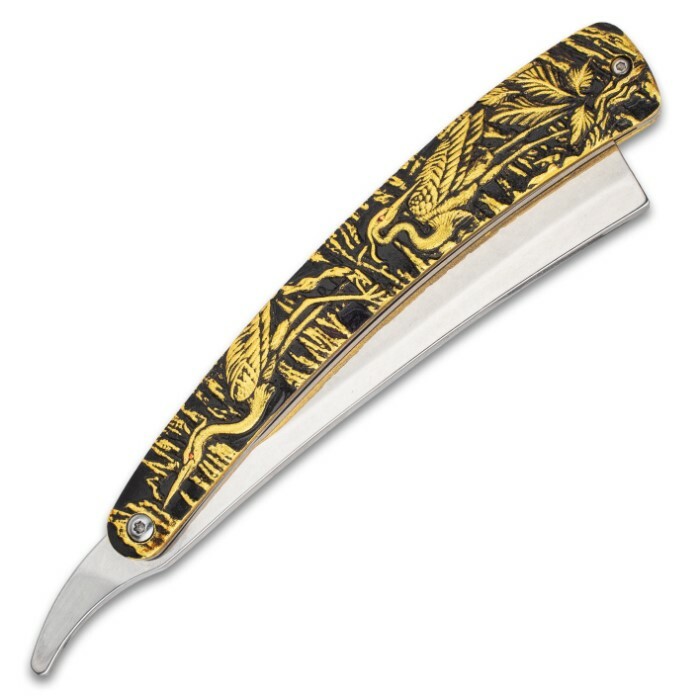 The Crane’s Gold Folding Razor Knife is a beautiful and elegantly crafted razor knife worthy of a Chinese emperor, yet, appropriately sharp and functional, too. 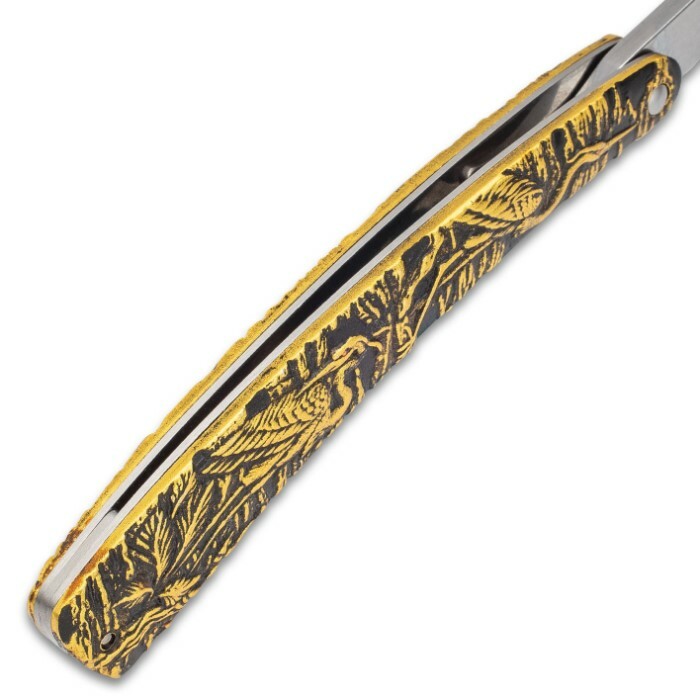 The aluminum handle is a true work of art with an embossed, rich gold crane and water scene jumping off of a black background. It’s the details like the pops of orange in the crane’s eyes that really make this pocket razor stunning. 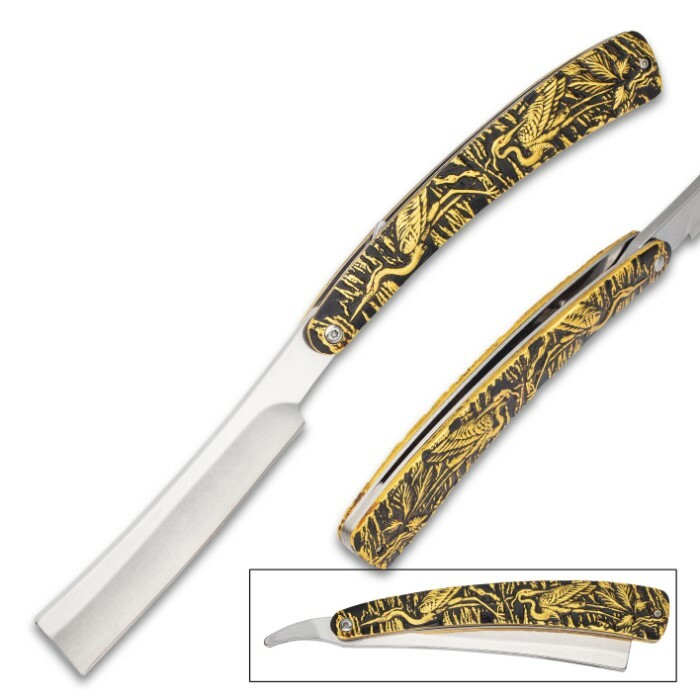 It has a keenly sharp, 4 1/2 mm thick, 6” stainless steel blade with a mirror polished finish and an extended tang. 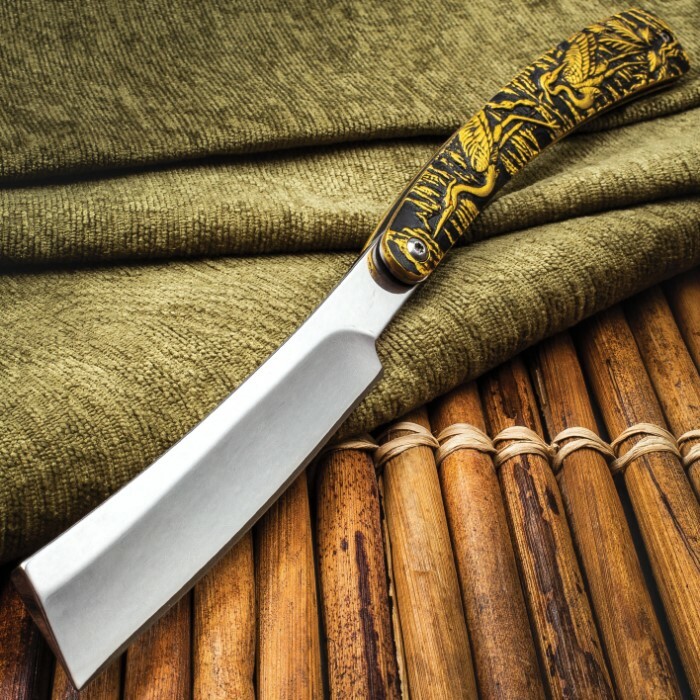 Including the extended tang, the magnificent folding razor knife is 6 3/4” in length when it is closed.